Let’s be honest, food tastes better after a hard day on the trail. Even a PB&J tastes delicious after a few hard hours of climbing or paddling. However, there are times where days outside need to be followed by a gourmet spread, cooked over an open flame. In this edition of Therm-a-Rest Beta, contributor Greg Hatten introduces us to a few of his favorite recipes following hard days on the river. Fair warning, reading further may induce extreme hunger and food envy. 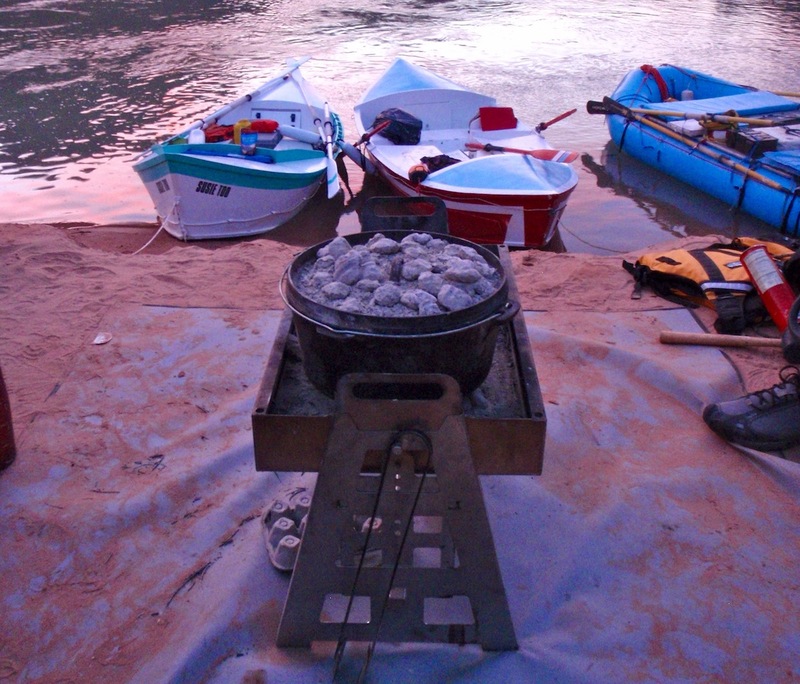 Bacon and eggs on an open fire smells like heaven in the early morning hours on the river. The aroma mingles with the morning fog and draws us from our tents and our bags in a trance to the pan where it sizzles and pops. When we’re out on an adventure, our days are spent on treacherous rivers, rowing big boats with nine foot oars, taking hundreds of powerful strokes a day. It’s strenuous. It’s physical. At the end of the day we’re tired and we’re hungry. Our meals become more than just a way to refuel, they are a key element of the outdoor experience. The smells, sounds and warmth of eating around the campfire is what I miss the most after an outdoor adventure and what I look forward to the most when planning the “next” adventure. Whether cooking on a camp stove, a dutch oven, over an open fire, or with charcoal, getting the fire “right” is the most important ingredient for getting the food “right”. On a typical river day, we cover roughly ten miles before setting up camp in a new location and the first thing we set up is our kitchen and our campfire. Each one of our meals requires “fire” and depending on who’s cooking what, we use wood, charcoal or gas on cookstoves, fire pans, or dutch ovens. Cooking is an important part of the whole outdoor experience and we enjoy celebrating the tastes, the smells, the cooking styles, the cooking skills, and the creativity that goes into each meal. Fire Pit (wood) – In order to turn a wood fire into cooking fire we usually bring our own firewood. Hardwoods like oak or ash provide the best coals for a cooking fire. We start cooking when the flame has died down and the wood turns into cooking coals which requires approximately 30 minutes of patience. 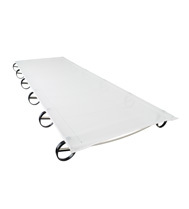 Fire Pan (charcoal) – In Wild and Scenic area’s, Fire Pan’s and Fire Blankets are usually required for fires. I use Phantom Fire Pans and Blankets because I know they meet all the National Park requirements for height, depth, materials etc… For the best cooking fire, we use the highest quality hardwood charcoal possible to get a long slow burn. Personally – I like Cowboy brand all natural lump hardwood charcoal. I use a charcoal chimney but a coffee can cylinder will work in a pinch to get the charcoal lit and burning quickly and evenly. It usually takes twenty to thirty minutes after being lit to get the coals in cooking shape. Once the edges begin turning to embers, we spread the coals out evenly and start cooking. Once again – patience is required and cooking slowly is recommended. Camp stove – With such a wide variety of camp stoves to choose from it comes down to personal preference on the style, the burners and the brand… personally, I prefer the Partner Steel Stoves for our river adventure cooking. 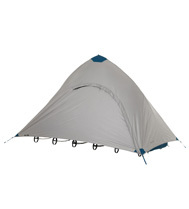 Having a wind break for the cook stove (natural or built in) is a good idea. Both butane or propane are options for most camp stoves but our group prefers propane because it burns hotter. We clean our stove after each use and always pack plenty of fuel. 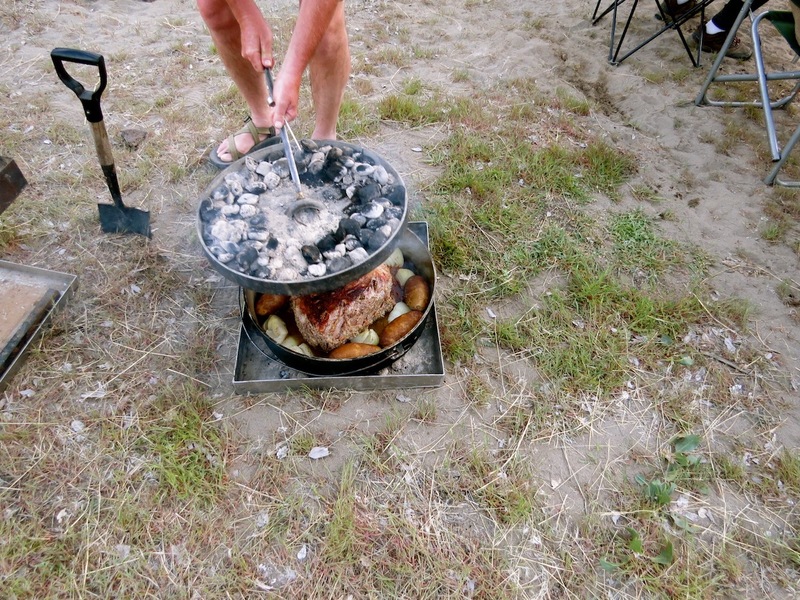 Dutch oven – Cooking with dutch ovens is all about charcoal management. Once we have a nice bed of coals, we spread them out evenly for a smooth level bed. I usually start with fewer coals on the bottom than on the top because the food is touching the bottom of the pan and I don’t want it to burn. My rule of thumb is 10 coals on the bottom and 14 coals on the lid – which generates about 350 degree’s of cooking heat. As tempting as it is to check on the food by taking the lid off – I fight the urge knowing that everytime I do it, the temperature in the oven drops quickly and takes another ten minutes to ramp back up. I like to rotate both the oven and the lid a quarter turn every fifteen minutes to prevent “hot spots”. Keep back-up coals available because they tend to burn out quickly. When Jim Sansone and two of his sons came out west from St. Louis for a river adventure, they had never been to Oregon, never run a river in a wood boat, and never eaten fresh salmon cooked on a cedar plank. One of the greatest joys in this season of my life is introducing people to those things. That trip turned into one of my favorite trips of all time. It started with the campfire – which was the first thing they saw when we hiked into the campsite beside the McKenzie River. I used every trick I’ve learned over the years to make sure the salmon was cooked to perfection on that campfire – (which can be a little challenging). If the cedar plank catches on fire before the Salmon is “done” it’s ruined. To prevent that, I soaked the cedar plank in the river all afternoon and when I laid the slab of salmon on it and began to season it – the Sansone’s asked a million questions – clearly engaged in every little detail. 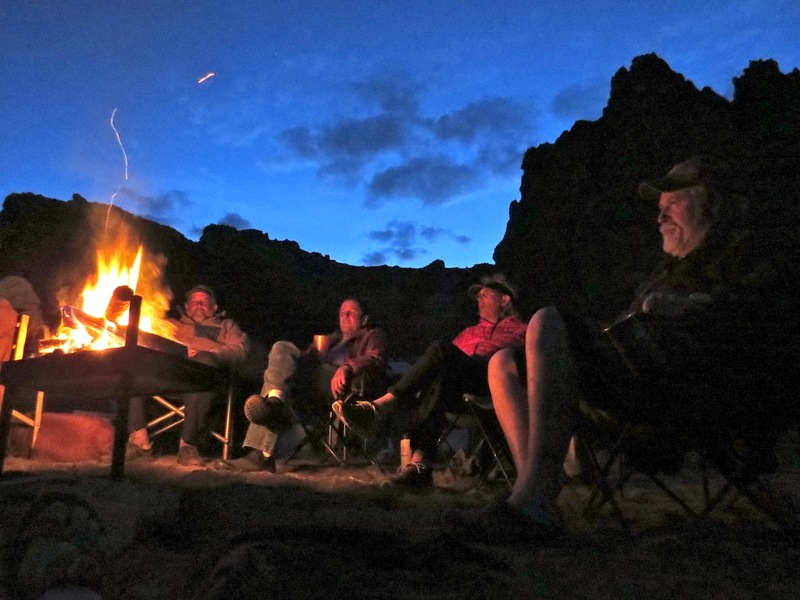 It was a memorable trip because Jim and his sons were so engaged in the entire experience – not just the fishing or the campfire. All of it. 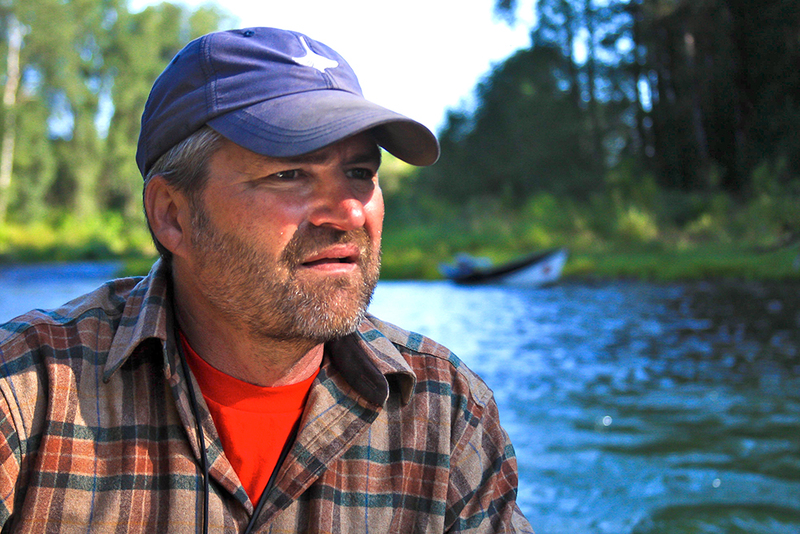 The sound of the river running right beside our camp, the bright red stripe of the rainbow trout we caught for two days, the Mahogany grain in the wood boat….. they appreciated all the little things that many people miss. A few years ago, I was part of an International team of river runners that replicated a historic trip on the Colorado River through the Grand Canyon. It took 24 days to cover the 280 miles in our replica wood boats. After each day of rowing through some of the most extreme rapids in North America – dinners were our chance to unwind and celebrate. Sometimes dinners got creative – like the time Shay Rohani prepared tangerine Salmon – which I had never heard of and will never forget. 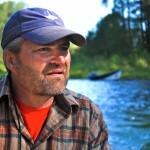 Shane is a professional outdoor guide and a great outdoor cook. It was a memorable meal cooked by an expert. 1. 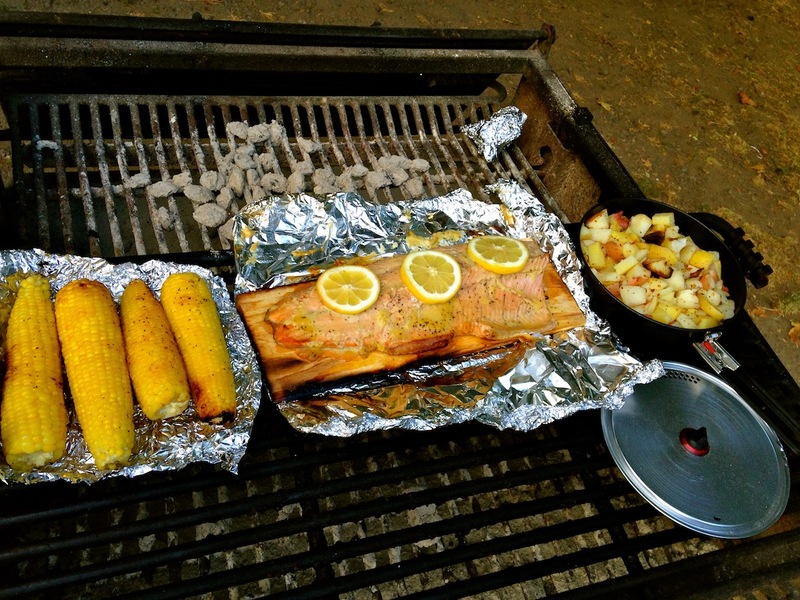 Lay the Salmon filet on a large sheet of foil. 2. Mix the honey mustard, ginger, scallions, soy sauce, brown sugar and butter together and coat the salmon filet with a generous layer. 5. Cook for approximately 25 to 30 minutes – until flakey. One of the more remarkable dinners on any river I’ve had was prime rib on the Owyhee River in Southeastern Oregon. The river is tucked away in one of the most remote and sparsely populated areas of the United States and is only runnable after a winter of heavy snow in the Sierra’s – which fills it up to a runnable level (briefly) in the spring. Some years it’s not possible to run it at all. 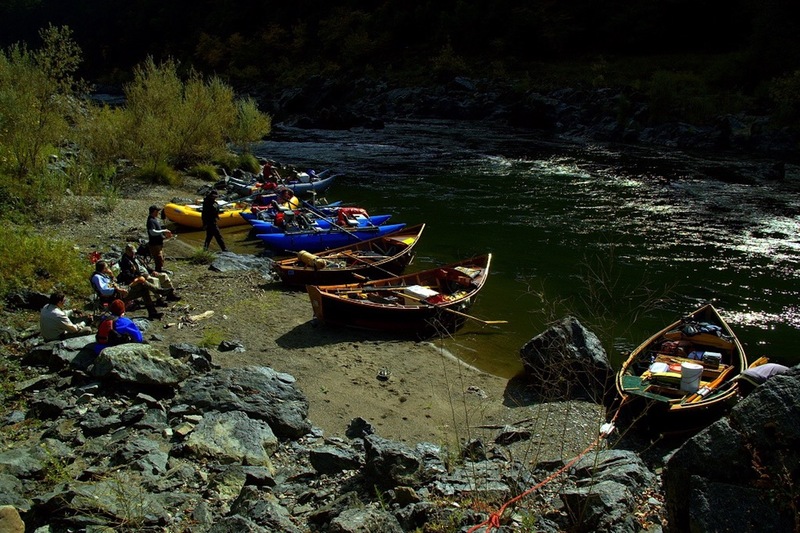 We were fortunate to have record flows last April and our “posse” of river rats gathered boats and gear and headed for this rare opportunity. For 5 days and 4 nights, we ran the river, managed the rapids, saw rock formations and steep canyons that most people never get to see and we ate EXTREMELY well. One of the most memorable meals was created by Aaron Helfrich – a prime rib in the Dutch Oven – with onions and baked potatoes on the side. 1. Season your roast with black ground pepper, sea salt and garlic powder. 4. In a 14 inch Dutch oven…..
9. Do not take the lid off to check it for at least 2 hours. 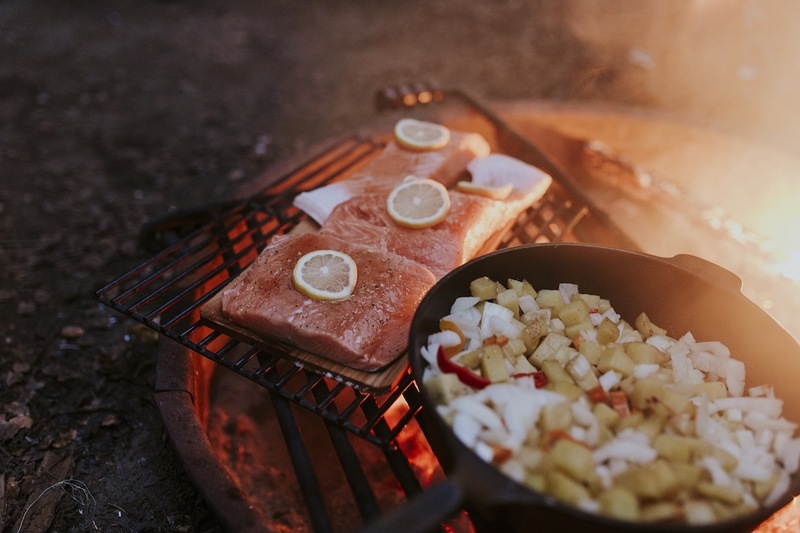 Regardless of what you cook, get the fire “right” to create unforgettable meals and memories in the great outdoors – on the river, by the lake, in the mountains, around the campfire, or on the hiking trail. Most importantly – pay attention to all the little details so you can remember the sights and sounds and tastes of the adventure long after it’s over. Author: Greg Hatten is an expert in consumer products and a master at launching new products at retail. 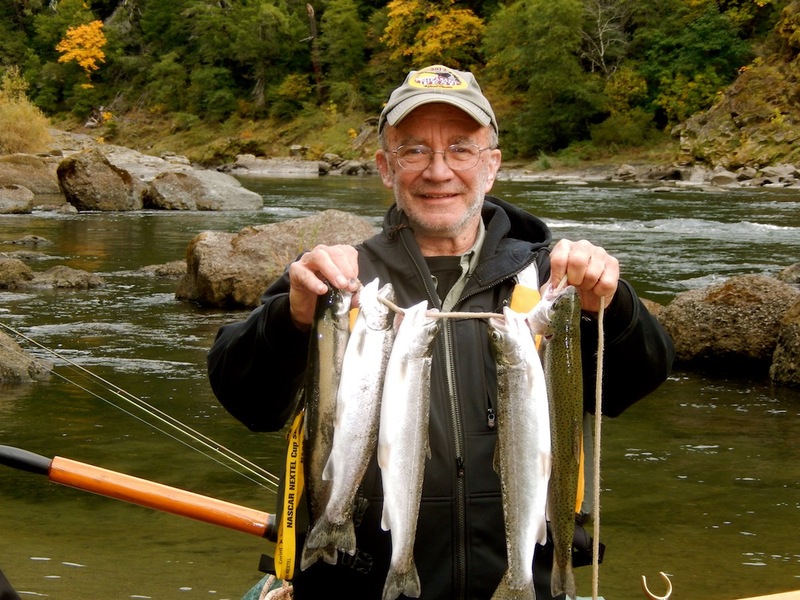 He is also a freelance writer, public speaker, river runner, woodenboat builder, outfitter and fly fishing guide in the state of Oregon. In 2014 he was part of an international team of river runners who replicated the famous Grand Canyon trip of 1964 which was instrumental in saving the Grand Canyon from two proposed dams that would’ve buried it under water. He built and rowed the replica “Portola” on that trip which was Martin Litton’s first Grand Canyon dory. 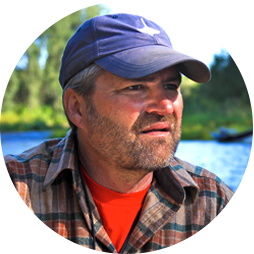 Greg Hatten is a freelance writer, public speaker, river runner, woodenboat builder, outfitter and fly fishing guide in the state of Oregon.